ZTE has finally announced its new high end device named as ZTE Nubia X8. Dubbed the ZTE Nubia X8, images of the phone were removed from an official website of ZTE. The Nubia X8 is expected to come with a 5.5-inch or 6-inch “bezel-less” screen with a resolution of 1440 x 2560. 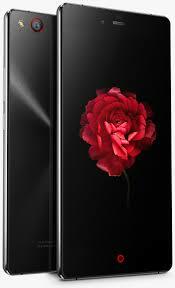 ZTE Nubia X8 preloaded with a 4GB of LPDDR3 RAM is inside along with 32GB/64GB of internal storage. Those requiring additional memory can use the included 64 GB capacity microSD slot.Â The Nubia X8Â is a phone which is having almost no bezels making it bezel less screen equipped phone. A massive 5120mAh battery keeps the phone running for a long time, but also contributes to the heavy 201g weight of the model. To put that in perspective, even a heavyweight like the 64GB Motorola DROID TurboÂ weighs in at 176g. It seems that this handset is not a fatty. The ZTE Nubia X8 leaks features dimensions of 162mm Ã— 75mm Ã— 7.9 mm. Since we’ve already highlighted upon the DROID Turbo to serve as comparison, the 64GB version of that handset is 11.2mm thick. On the connectivity front, it offers 4G LTE, 3G, Wi-Fi and Bluetooth connectivity. Android 5.0 is pre-installed on the unit. So we don’t have to wait for the latest android yet.Â The impressive battery work seems to be inspired from itâ€™s previous phones that has a massive 4,000 mAh battery. There is no word on when we might see this monster unveiled, and pricing is also unknown at this time. What we do know is that there will be two color options for buyers, Black and Gold.Â Let’s see when ZTE would be making the phone available or talk about the same, so let us wait for something official. This would be all about the ZTE Nubia X8 leaks. For info stay tuned with us.